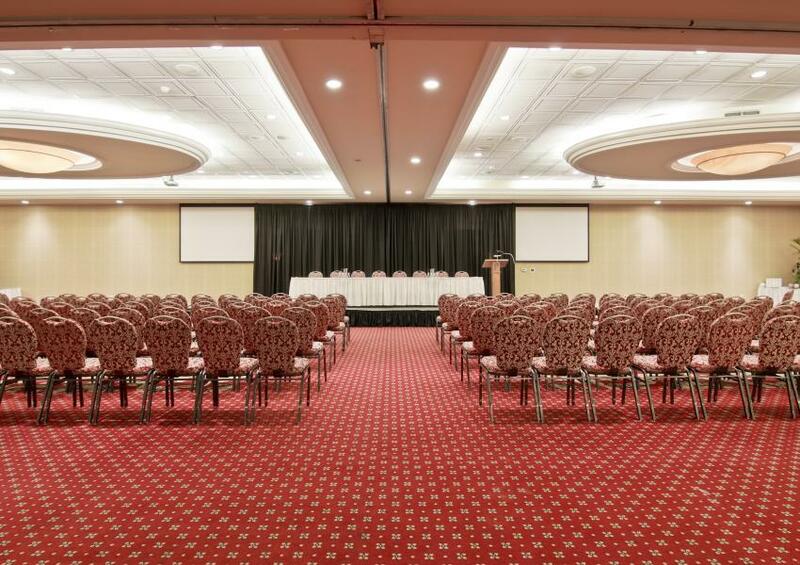 With over 20,000 sq ft of meeting space, complimented by superior and attentive service the Holiday Inn & Suites, Parkway Conference Centre is the ideal place to hold your next meeting or event! With 17 multi-use rooms, 20,000 sq ft of space, on-site chef and AV equipment, we have a solution for all of your event needs. Join our IHG Rewards Club today and earn 3 points on every $1.00 (U.S) spent during your meeting with us. Plus, upgrade to Gold or Platinum to received complimentary brand-wide internet, newspapers, and promotions. Our passionate and motivated team of hospitality professionals will do whatever it takes to make your meeting or event a huge success! With attentive and individualized service, we'll take the 'busi' work out of your next business meeting. A modern and stylish room set with a large oak table and 15 comfortable chairs. Equipped with television and AV connections - ideal for board meetings. Identical rooms along the back of the Conference Centre, these rooms offer privacy for weddings or special events. Equipped with drop down video screens, 12' ceilings and a combined total of 3,500 sq ft. Located on the lower level of the hotel, these two rooms are great for sports teams and hospitality suites for organizations. Along the front of the hotel, this antique-style room is furnished with a gas fireplace and television set - ideal for both family dinners up to 50 people and small meetings. Grand entrance through the Atrium, this room has over 2,500 sq ft and comfortably sits 120 guests for dinner. The largest room at over 3,000 sq ft! Ideal for weddings and larger gatherings of 150 people. 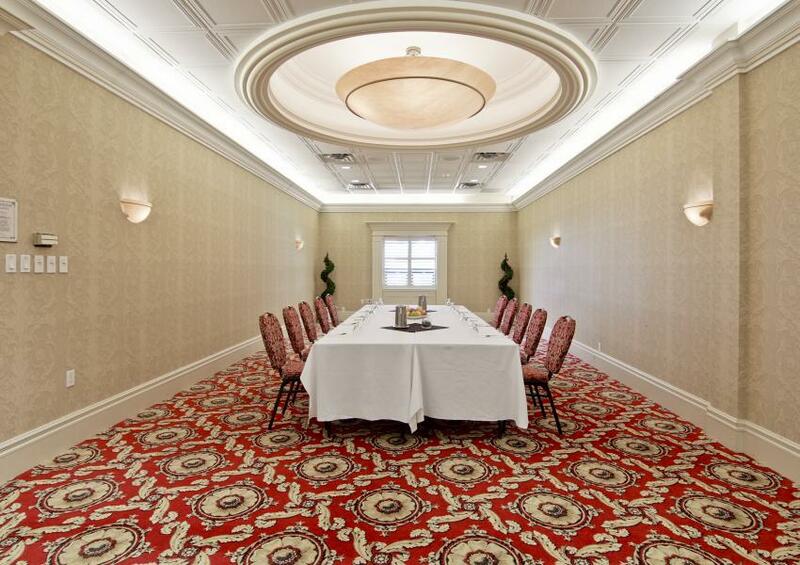 Over 1,500 sq ft of space for meetings up to 150 people. 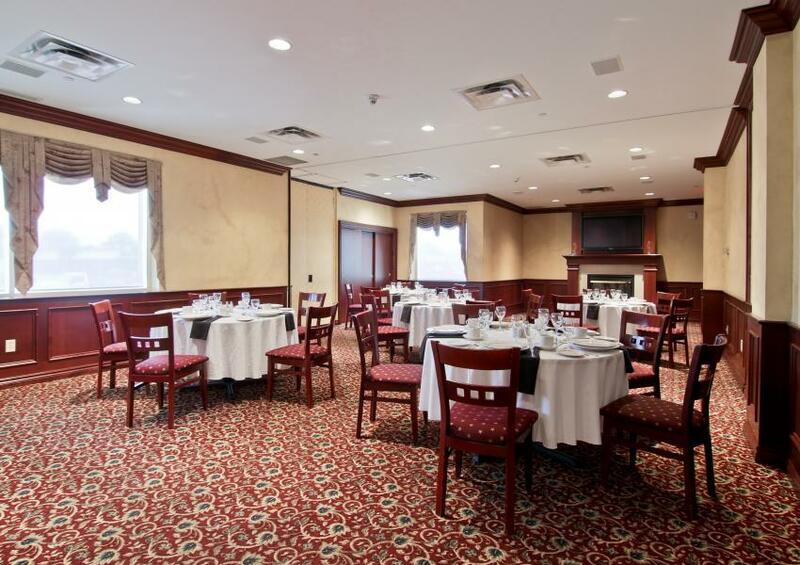 Over 900 sq ft of space that's great for an intimate luncheon or break-out room for 30 people. A naturally lit room in the conference centre that offers a great meeting space for up to 50 people. Thank you for contacting The Holiday Inn St. Catharines. We will be in touch with you shortly. In order to provide you with the best room available, kindly fill out the contact form and one of our hospitality professionals will be in touch to make your vision a reality. We guarantee you access to the best available rates online, or your first night is free. We track, measure and report our hotel's carbon footprint, ensuring a more responsible and sustainable approach to hotel management. Join our IHG Rewards Club today and earn points on your next stay at any IHG property.